Web performance is an important factor to consider when developing sites because user experience and usability are strongly tied to the speed of page loads. 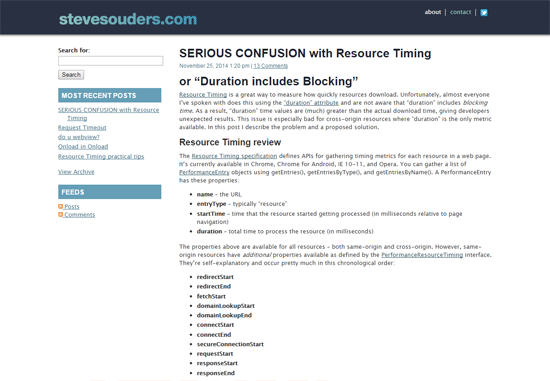 The blogs discussed in this article are great sources of news, tips and tutorials on the subject of building fast sites. At the end of this article, there’s a download link for an OPML file containing all the RSS feeds of the blogs covered in this article in case you’d like to add them to your feed reader. 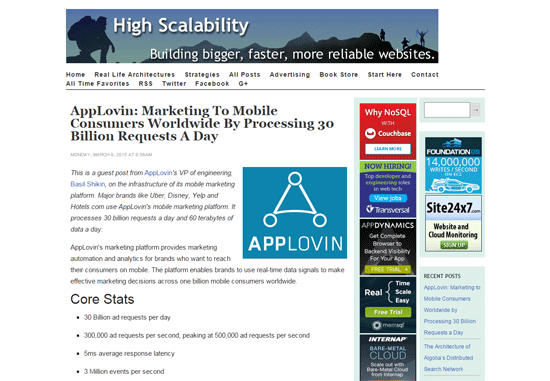 High Scalability publishes articles about the techniques and technologies involved in producing high-performance sites. Check out the case studies of YouTube, Google, PlentyOfFish and other high-traffic websites to discover insights and strategies for building resilient sites. 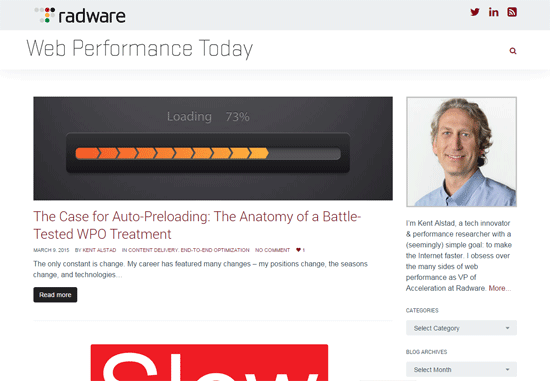 This blog by Tammy Everts and Kent Alstad covers web performance news, tips and information. The articles in this blog are easy to read and information-packed. 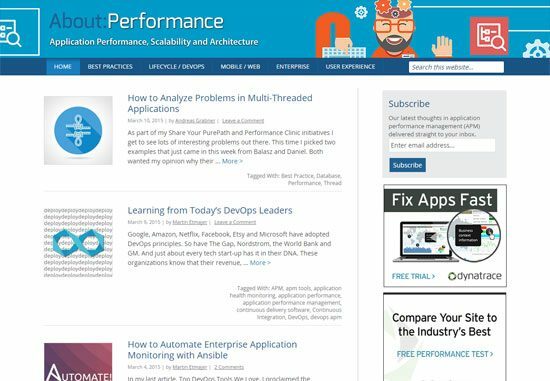 The company blog of Dynatrace has a large variety of web-performance-related content. Their blog shares tips and best practices for creating and maintaining high-performing sites and apps. Their piece on performance metrics other than response times is very enlightening. 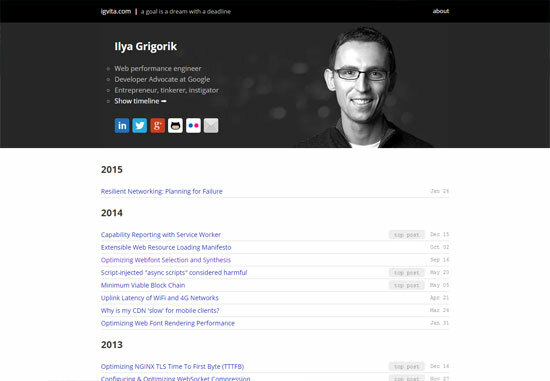 The personal blog of web performance engineer Ilya Grigorik has a ton of posts on network performance. Other topics such as front-end performance are also covered on this blog. Ilya Grigorik’s post on choosing web fonts for optimal performance is a great read, and provides excellent insights on how browsers render web fonts. 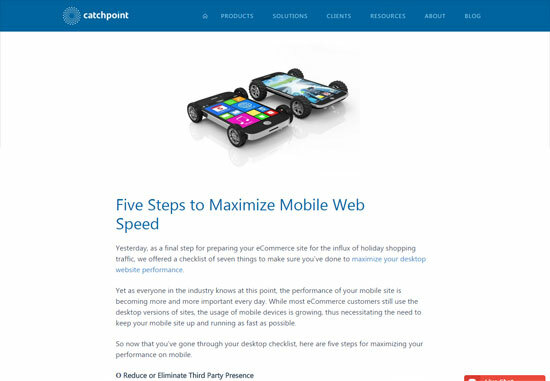 Catchpoint, a performance monitoring service, has a company blog that publishes articles on a wide array of topics related to web performance optimization, from articles about improving mobile web performance to putting your website on a weight loss program. 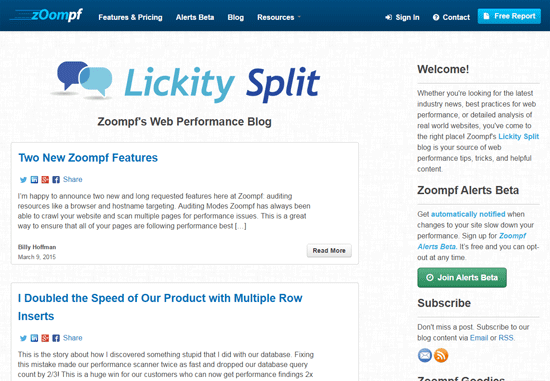 Zoompf’s web performance blog covers industry news and best practices for making websites fast. This is a blog where you can learn things such how to implement HTTP/2 or how to perform a mobile performance audit. 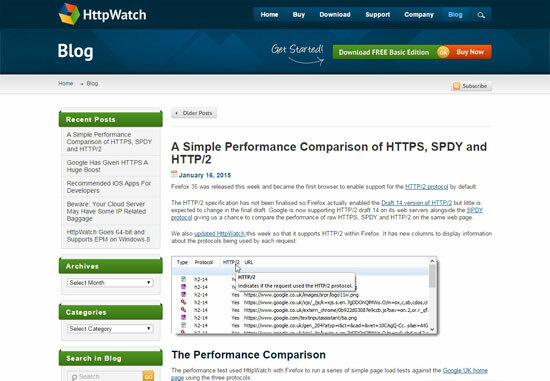 HttpWatch has an excellent company blog where they post news, articles and tips regarding web performance optimization. Be sure to check out their performance comparison of HTTP vs. SPDY and HTTP/2. 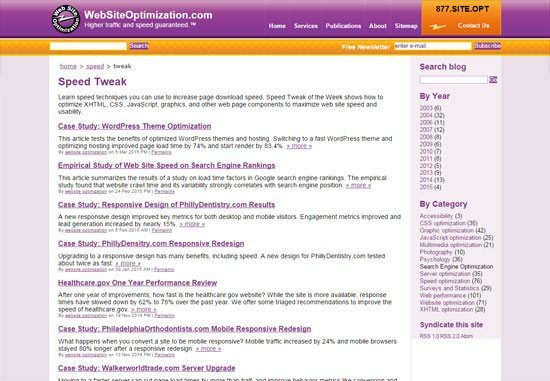 Speed Tweak of the Week is a weekly online publication that offers news, tips and tutorials, mostly focused on front-end web performance optimization. This publication has been at it since 2003. Stoyan Stefanov’s blog, Planet Performance, has a rich collection of posts about web performance. 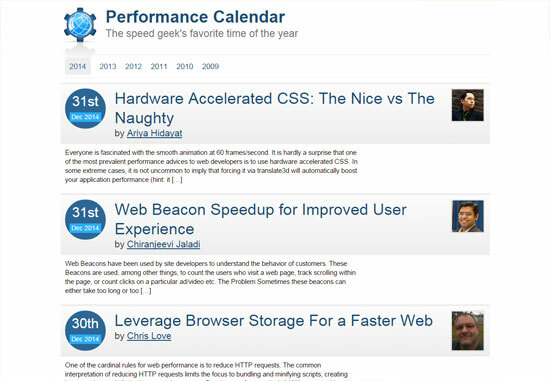 Don’t miss the Performance Calendar archives, an annual collection of web performance optimization articles. Grab the OPML file below if you would like to import these blog feeds into your RSS reader. Also, check out my wpo-links repository on GitHub to find more web performance optimization links.